When the Catholic Church teaches that marriage is a covenant, it is using an ancient and rich biblical concept to describe how God’s steadfast and exclusive love for his people is a model for the loving union of a married couple. The Old Testament writers trace the relationship between God and the chosen people of Israel by speaking of the covenant he offers to them through Abraham, Moses. This covenant is an invitation to enter into a relationship in which “I will be your God and you will be my people” (see Exodus 19:5ff). A covenant is a commitment which God initiates. The Bible tells a story of Israel repeatedly straying from the demands of this covenantal relationship and God always trying to call the people back to their original commitment (see Jeremiah 22:9 and Hosea 2:4). Despite the fact that the people continually break the covenant, God still promises them a new and everlasting covenant (see Jeremiah 31). But also, in daily acts of kindness, service, mutual love and forgiveness couples are called to imitate, however imperfectly, the unconditional love which Christ offers to us. Seeing marriage as rooted in the broader covenant of love between God and humanity has led Pope John Paul II and others to say that marriage is a sacrament “from the beginning” and not merely after the coming of Christ. The teaching of the Second Vatican Council (see Constitution on the Church in the Modern World, n. 48ff) placed special emphasis on understanding marriage as a covenant, while not ignoring that every marriage also involves contractual obligations between the spouses. Placing covenant at the heart of a marriage shows that the interpersonal relationship of the couple, their unitive love, is what makes all other dimensions of a marriage possible and, in some cases, bearable. 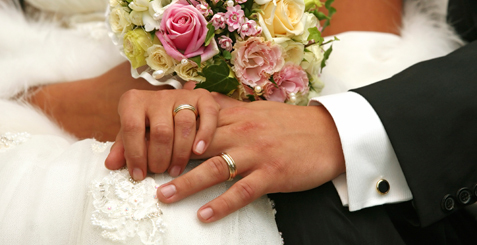 Understanding marriage as a covenant which establishes between husband and wife a “partnership of the whole life” in which they “mutually hand over and accept each other” (see Code of Canon Law, c. 1055 and c. 1057) can greatly enrich our appreciation of this special union that is: (a) sacred in the plan of God; (b) permanent, faithful and fruitful; and (c) a living symbol of God’s love for his people.